An online course developing more advanced skills in historical research. The Advanced Diploma in Local History is a one-year part-time course providing training in key concepts and methods of historical studies. It is delivered entirely online, so you can work at home with access to the course material, your tutor and fellow students. This course will help you improve the key skills you need for historical research, especially the manipulation of information using spreadsheets and databases, and it will teach you how to use what you have learned to produce good, scholarly historical writing. With the help of your tutor, you will produce your own piece of local historical research. Some of our past students’ projects have been developed into articles for scholarly journals. Equivalent to study in the third year at a university in the UK, the Advanced Diploma is good preparation for a higher degree such as Oxford University’s part-time MSc in English Local History or master’s programmes at other universities. The Open University recommends this course as preparation for its online MA in History. As the course is delivered entirely online, you can join it no matter where you live. There are no formal entry qualifications, but you should have a lively interest in the localities and communities of the past, and some experience of local history at undergraduate level or equivalent. This might have been gained through a course, or through research into family or local history using sources in libraries and record offices. If you are in any doubt about your experience, please contact undergraduate@conted.ox.ac.uk for advice. for history teachers and local studies librarians, who are likely to find the course professionally useful. Past students have gone on to work in a number of related fields, including as historians and in the heritage industry. The transferable nature of the skills you acquire will be valuable in a wide range of jobs, and equally if you are retired or not currently working. You should be familiar with the use of computers for word-processing, using email and searching the Internet. You must also have some experience of Access, Excel, or other database or spreadsheet programs before starting the Advanced Diploma. Short introductory courses are often available locally. The content of the course is entirely devoted to English local history, although the skills learned may be applied more widely and the final project may concern the local history of an area of your own choice. Students outside Britain are welcome to apply but you should understand that some knowledge of British history, society and institutions will be assumed. All the course material will be provided on our website. In addition to the course units the material will include readings, documents, spreadsheets and database files. You will also have access to a wide range of online resources. A reading list of recommended books will be sent to you well in advance (see below for a selection). The units will be published on the course website and you will study them in sequence. Normally you will have two weeks to study each unit, and within this framework you can study in your own time and at your own pace. There will be online material to guide your work on each unit, which will involve a mixture of downloading and studying selected passages from historical sources, exploring wider reading online or in a library, doing self-study exercises with spreadsheets and databases, and participating in online discussion with your tutor and fellow students. You must also complete your assignments and submit them via the course website by the deadlines given. The Advanced Diploma is a rewarding and challenging course demanding a sustained commitment over one year. You must be sure that you will be able to devote enough time to studying alongside all your other commitments. The time needed will vary, but you should be prepared to commit at least 12 hours a week for the length of the course. The course begins with a short preparatory unit to familiarise you with study and discussion online. Module 1 usually begins in October and Module 2 in March. This module consists of eight units, making extensive use of original sources and case studies. There will be four written assignments, allowing you to practise historical skills and to write some local history. The units cover approaches to local history, finding primary and secondary sources, the critical use of evidence, personal testimony as a source, a practical guide to the use of statistics for history and the use of Excel, record linkage, and effective writing and publication. The second module consists of six units and uses data sets for two contrasting communities, the Lancashire port of Liverpool 1650-1750 and the Oxfordshire market town of Woodstock in the 17th century, as well as criminal records for London from the Old Bailey online database. There will be one written assignment and a final project comprising a longer piece of historical writing using data analysis. Students will practise methods for querying existing databases, then move on to learn how to design, create and use their own database for the analysis of historical data. Two further units introduce some of the exciting ways in which historians are now using databases, with up-to-date examples. The award of the Advanced Diploma is based on successfully completing the five written assignments and the final project. There is no written examination. All students are strongly encouraged to participate in the group discussions and activities which are an essential part of the course. The books listed here are all on the course reading list. They provide a good introduction to local history and to the kind of reading recommended for the course. Kate Tiller, English Local History: an Introduction (Sutton paperback, 2nd edition 2002, ISBN 0750927143). The standard introduction to English local history, from Anglo-Saxons to the 20th century. John Tosh, The Pursuit of History (Longman paperback, 5th edn 2009, ISBN 9780582894129). This widely used textbook is recommended for its coverage and for its approachable style. Eamon Duffy, The Voices of Morebath (Yale paperback, 2003, ISBN 0300098251). A fascinating study of the Reformation in a tiny Tudor village. Sonja Cameron & Sarah Richardson, Using Computers in History (Palgrave paperback, 2005, ISBN 1403934169). A jargon-free guide to computing skills for anyone interested in history. Pat Hudson, History by Numbers (Hodder Arnold paperback, 2000, ISBN 0340614684). Introducing some of the ways historians use quantitative information, which is one of the themes of this course. Anyone returning to study after a period of time away will find it helpful to look at Andrew Northedge, The Good Study Guide (Open University paperback, 2005 or earlier editions, ISBN 0749259744). The Course Director is Dr Jonathan Healey, Associate Professor in Social History, Kellogg College, University of Oxford. The ready availability of a tutor has always been a feature of study at Oxford University, a tradition which is continued in this online learning course. You will be assigned to a tutorial group of about 15 students, led by a tutor with whom you can communicate via email or the online conferencing system for general advice and for assistance with any problems. Your tutor will also mark your assignments and provide feedback on your progress. An experienced IT help team is available to advise on any technical problems. 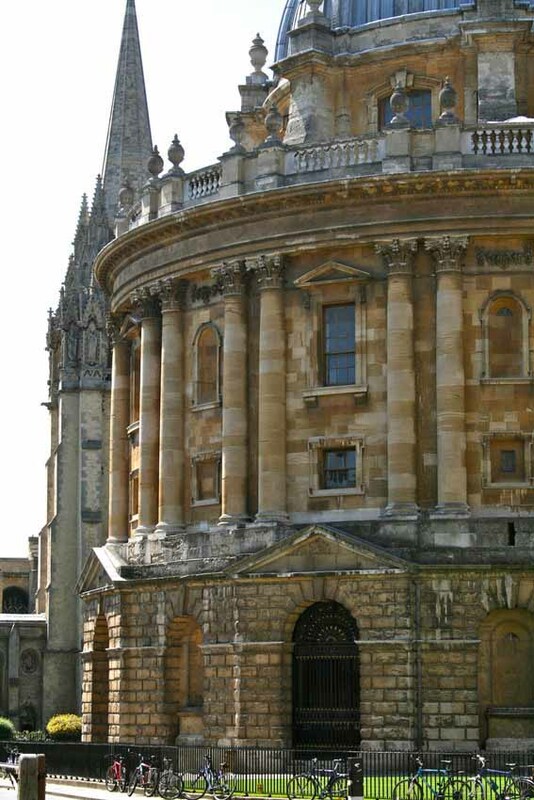 Successful students will be awarded an Oxford University Undergraduate Advanced Diploma in Local History. Outstanding performance will qualify for a Distinction. You will be invited to receive your Advanced Diploma at the annual awards ceremony of the Department for Continuing Education, held at Oxford’s Sheldonian Theatre. This happy occasion provides an opportunity to meet your tutor and fellow students in person. The Advanced Diploma carries a Credit Accumulation and Transfer Scheme (CATS) rating of 60 points at FHEQ Level 6. You may be able to transfer these credit points to other HE institutions. If you are considering taking advantage of transferring credit, you are recommended to consult our Student Support Officer (email: student.support@conted.ox.ac.uk or tel: +44 (0)1865 280355). The Open University Arts Faculty has approved the Advanced Diploma in Local History as part of its collaborative scheme. This course can count towards the FHEQ Level 6 element of the Open University’s BA in History. It is advisable to check with the OU on the level and the amount of credit that you are permitted to transfer into any OU degree. The Open University also recommends this course as preparation for its MA in History, especially if you have an undergraduate degree without honours or in a subject other than History. Further information is available from the OU Regional Centres, the Credit Transfer Centre or the OU website: www.open.ac.uk. A written statement of 300-400 words stating why you wish to study Local History at this level. Proof of your English language ability if you are a non-native English-speaker (see below for more information). You will also need to arrange for two references to be emailed to us; we do not request references for you. If possible, your referees should be people who can comment on your academic ability and background, but where this is not appropriate, please choose referees who can vouch for your motivation, commitment and potential. A reference from a family member is not acceptable. We will acknowledge receipt of your application via email. If you appear to be suitable for the course, we will send you instructions by email for the second stage of the application process where you will be asked to write a short commentary on a given local history text and to return your work to us as an email attachment. We will normally inform you within three weeks of receipt of your written commentary and both references whether we are offering you a place on the course. Places are offered on a first-come, first-served basis to suitable applicants as they complete the application process. The application deadlines are Thursday 24 January, Thursday 7 March and Thursday 9 May 2019. This a popular course so we recommend you apply by the earlier deadline. The final decision on admission to the course rests with OUDCE. Lesley Trotter's personal interest in Local History prompted her to enrol on our Undergraduate Advanced Diploma in English Local History. David studied local history online while balancing other commitments, before progressing on to a DPhil.